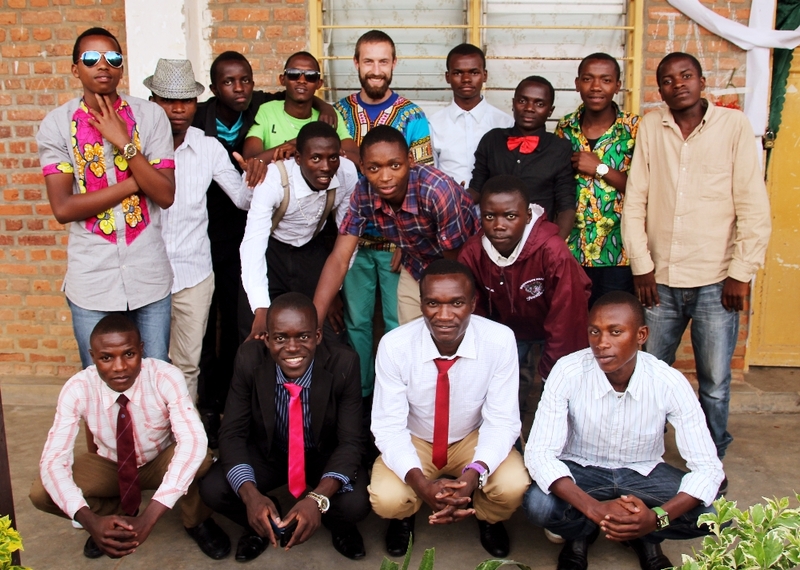 One of the projects that Peace Corps volunteers do in Rwanda are GLOW and BE clubs. GLOW stands for Girls Leading Our World, and BE is Boys Excelling. They are clubs and camps where we teach secondary students about gender development with a focus on women’s empowerment. Each region holds a week-long camp where students have daily lessons on everything from writing resumes, to HIV/AIDS prevention and sexual health. They even have a session with a nurse where they are encouraged to ask any question that they would normally be afraid or embarrassed to ask anywhere else. At GLOW camp, girls make chants and songs about their positive qualities, and are constantly singing about how they will be leaders, managers, and doctors. 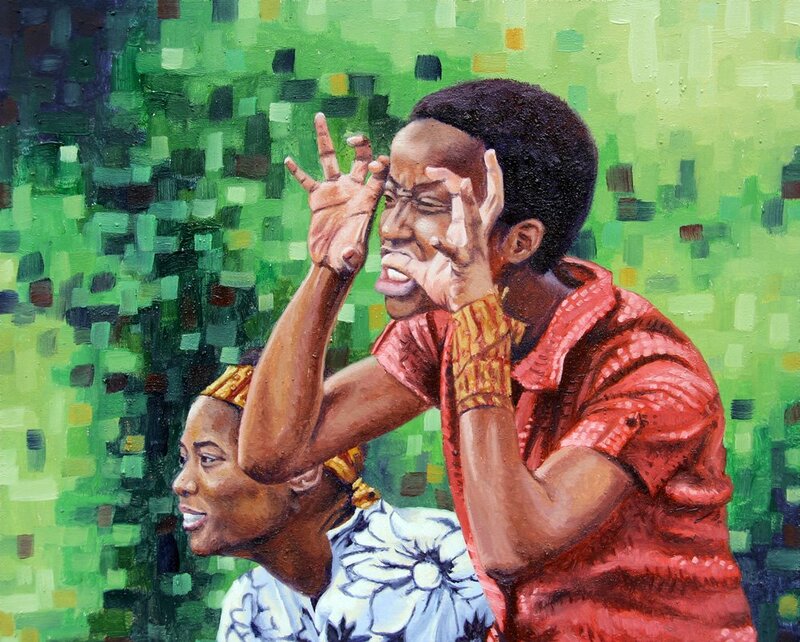 My painting is an image of two girls at GLOW camp who were being lions in a game of Lions and Zebras (Sharks and Minnows.) The girls at GLOW camp really do find their inner lionesses! BE camp focused on servant leadership, which means including their future family members in making decisions, and empowering others to reach their potential. They learned to acknowledge their weaknesses, and utilize their strengths. Most importantly, they learned that good leaders are self-sacrificing in support of their families. This is not the traditional role for a Rwandan man. For example, it is common for Rwandan men to spend all of their families’ money on beer, while the children go hungry. BE camp trains boys to lead their families by putting them first, even though they will be ridiculed by their peers. After the camps, the students go back to their schools and start GLOW and BE clubs. Kirsten meets with our GLOW club every Saturday, and I meet with our BE club every Sunday. We have watched many of these students develop into leaders in their classrooms and in after-school activities. One day they will be leaders in their communities and in their families. I like the Clubs and what they are teaching about relationships. 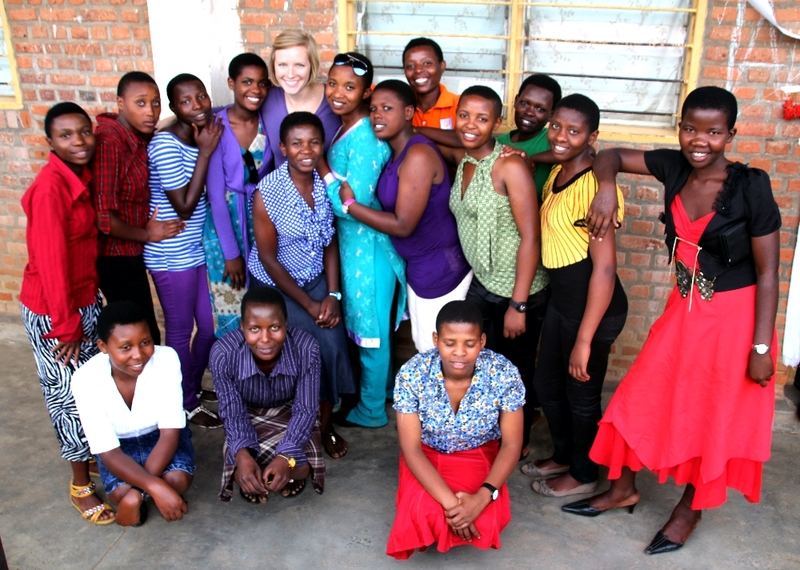 At the Amahoro Center for Women’s Ministries (free paraprofessional counseling) they found that the greatest problem is the marriage relationship. The women had a hard time understanding that they did not have to “take” abusing treatment from their husbands. Therefore, they put together a seminar, including a government representative to raise their level of understand of the government’s support of women in the home. The mayor applauded it and wanted everyone to take it. It cost $2000 for 25 couples for three days so that is not likely, however little by little….